A new era has begun at two University of Warwick Science Park locations after a long-standing manager retired. 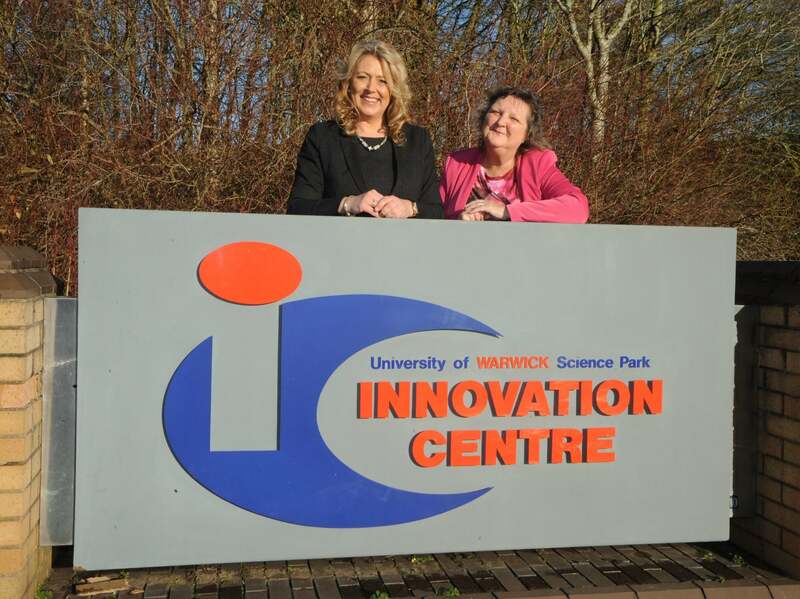 After nearly a decade of service in her current roles, Karen Aston, has stepped down from being Centre Manager at the Venture Centre in Coventry and the Warwick Innovation Centre. Karen has been a centre manager with the Science Park for more than 17 years, building up the portfolio and reputation within the business community starting with its Binley Business Innovation Centre in 2001. But she has now retired and has been succeeded by Jane Talbot, who was previously based at the University of Warwick Science Park’s Business Innovation Centre in Binley. Karen handed over the keys to the centres to Jane and wished her luck before saying goodbye to all her friends, colleagues and businesses she helped over the years. “I am very sad to be saying goodbye to everyone, but I feel that it is the right time for me to move on,” said Karen. “I have had many wonderful years as manager of the Venture Centre and Warwick Innovation Centre and I will take away many wonderful memories. The University of Warwick Science Park offers a flexible range of offices as well as a range of business support services across Coventry, Warwickshire and Solihull. Jane Talbot has been working for the University of Warwick Science Park for 17 years, but is looking forward to the challenge and getting to know all the tenants at both sites. “Karen has done an absolutely fantastic job of managing both the sites over the years and has helped to build up the excellent reputations of the two centres,” said Jane. “She will be sorely missed by all of the team and the tenants, but we would all like to wish her well for the future and hope she enjoys her retirement. “I am now looking forward to getting to know all the tenants through the Venture Centre and the Innovation Centre and being able to help them however I can. “The University of Warwickshire Science Park excels at providing a space where businesses can grow, develop and get the support that they need.